← One Best Thing – Sharing learning with real audiences. We get the energy necessary to live, the materials necessary for tissue construction and regeneration, and the substances which regulate the body’s internal reactions through the role of nutrition. 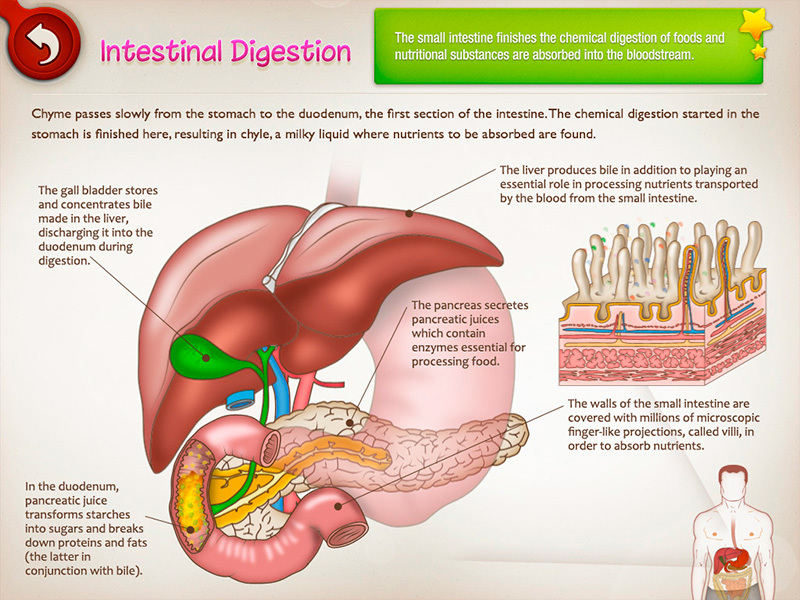 Functions carried out in the digestive, respiratory and circulatory systems. 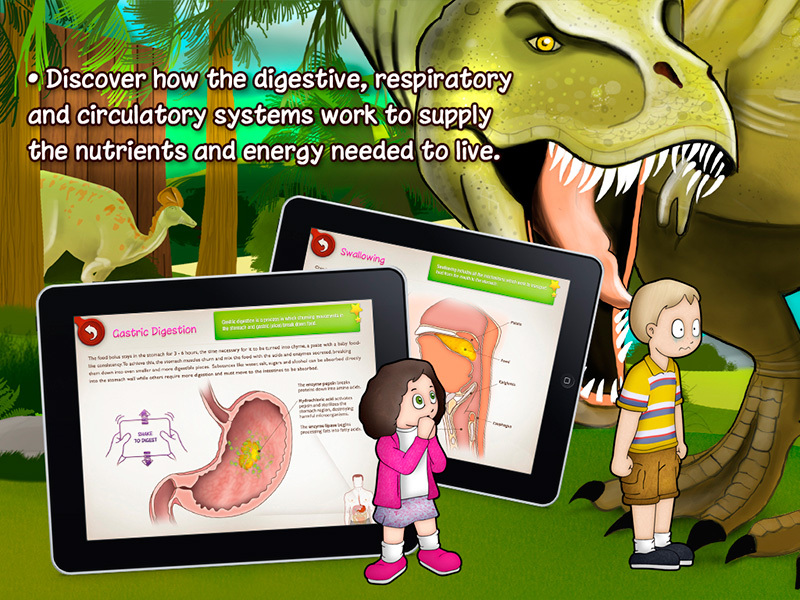 Available in English and Spanish, the development of this application has been supervised by educational and medical professionals to explain the functions of the DIGESTIVE SYSTEM, the RESPIRATORY SYSTEM, and the CIRCULATORY SYSTEM in an enjoyable and entertaining way. Taking advantage of the iPad’s functionalities, it has interactive explanations and animations which reveal a whole new way of learning. Its innovative navigation runs in a natural environment, associating the educational content with the capabilities of some of the most famous dinosaurs. This catches the user’s attention, who then learns new concepts and is motivated to interact, enhancing the learning process. This app is awesome! There is very good interactive element to this app with a range of learning styles catered for. A range of activities and simple to use interface makes this book very accessible to all learners and a range of ages and makes the learning and enjoyable experience. 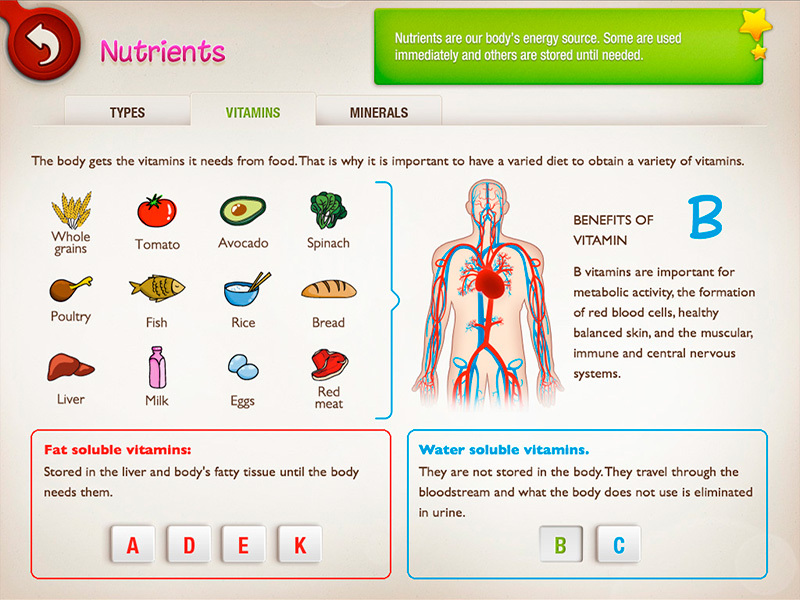 Visually excellent and very accurate science pitched at the correct level to match the literacy abilities of the user. A great focus on scientific literacy throughout linked to visual stimuli and diagrams. A superb resource for students to use during lessons, at home or for independent study. Posted on May 5, 2014, in General, Science Apps. Bookmark the permalink. Leave a comment.